Does Your Home Need a Holiday Facelift? Many people are beginning to decorate their homes for the holidays. That’s when they begin to notice that perhaps the paint needs refreshing, or a bit of baseboard is missing, or that a room feels stale or unbalanced. 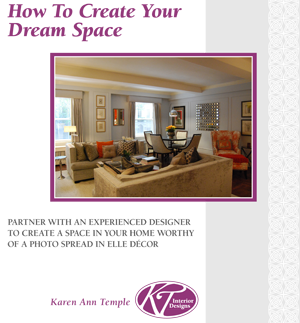 KT Interior Designs has a special gift certificate for home owners who want to give their significant other the power to update their environment. We offer a gift certificate for a complimentary 1 hour design consultation, or you can purchase a $250 gift certificate for a half day consultation. Creating the ultimate home environment must begin with a plan. When can we begin working on your plan? 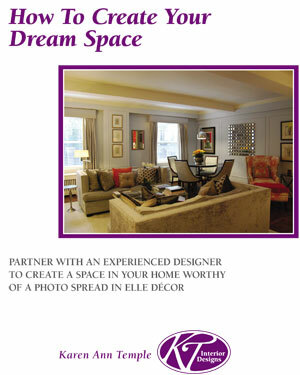 Happy Holidays from KT Interior Designs!